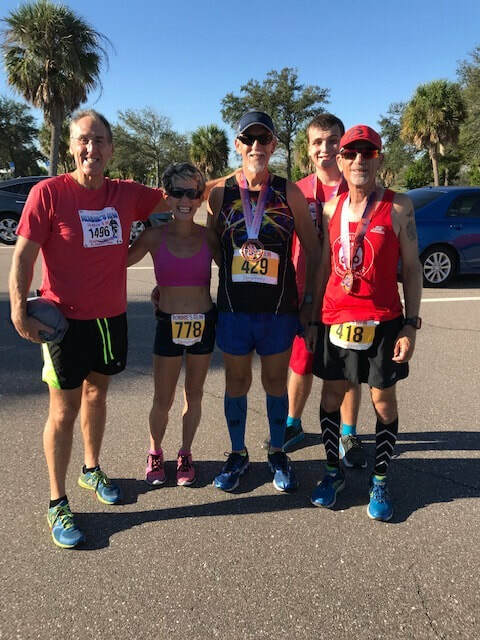 The West Florida Y Runners Club was well represented at the 4th Annual Ronnie’s Run on Saturday, October 13th at Fort Desoto Park. It was a beautiful cool morning for a race with a total of 607 runners. Starting with the women, Ellen Gerth was the second woman overall in the 10 miler with a chip time of 1:14:49, Kathleen Crowley grabbed first place in her age group with a chip time of 1:28:59. 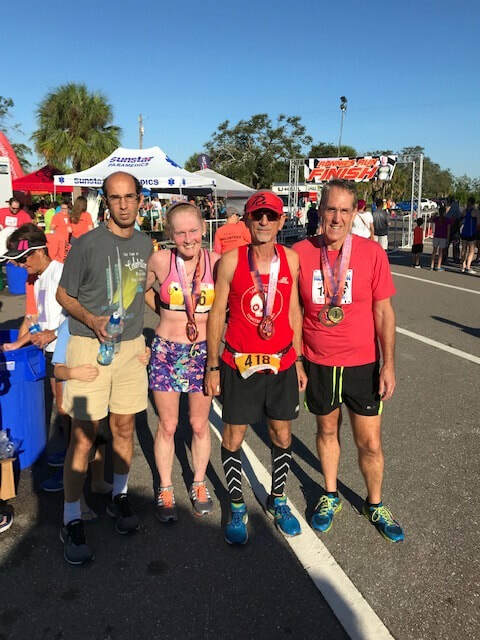 In the Men’s Division, Glen Schneider was first in his age group with a chip time of 1:21:19, and Ron Haney took first in his age group in the 5K with a chip time of 23:54. The race was well organized and well attended. Congrats to all.